The cost of sending children to college remains daunting, and annual increases in the price tag for higher education have outpaced the overall inflation rate for years. According to the College Board, yearly hikes in college costs during the past decade have averaged roughly 5%, while consumer prices in general have risen less than 3% a year. 1. Section 529 plans: Section 529 plans, sponsored by U.S. states, encourage families to set aside funds for the future education expenses of beneficiaries. The contribution limit usually is at least $300,000. As long as certain requirements are met, your investment can grow without current taxes, and distributions made for qualifying college expenses—including tuition, fees, books, supplies, equipment, and room and board for full-time students—also are tax-free. There are two main types of Section 529 plans: (1) prepaid tuition plans that let you prepay the cost of attending college years down the road at current rates and (2) college savings plans, whose assets are invested according to your preferences. 2. Custodial accounts: A traditional way of saving for college is to set up a custodial account under your state's Uniform Gifts to Minors Act (UGMA) or Uniform Transfers to Minors Act (UTMA). With these accounts you, or another custodian, manage the funds for the child's benefit until the child reaches the age of majority in the state. The advantages of Section 529 plans have tended to overshadow this approach in recent years. There also are potential "kiddie tax" complications with custodial accounts. Under this rule, unearned income of a dependent child under age 24 may be taxed at the top tax rate of the child's parents to the extent that the child's income exceeds an annual threshold ($2,100 for 2017). This tax provision can eat into the amount being saved for college. 3. Minors' trusts: A minor's trust, authorized by Section 2503(c) of the tax code, is designed to provide funds for beneficiaries to use to pay for college. Like custodial accounts, minors' trusts have been around for a long time, but their popularity has waned because of the influx of Section 529 plans. Unlike custodial accounts, the trust can be set up to continue past the state's age of majority, as long as the beneficiaries don't exercise a limited right to withdraw funds. With a minor's trust, trust income is taxed directly to the trust, so this arrangement avoids any kiddie tax problems. However, trust tax brackets are narrow, and significant investment earnings may be taxed at the top rate of 39.6%. 4. 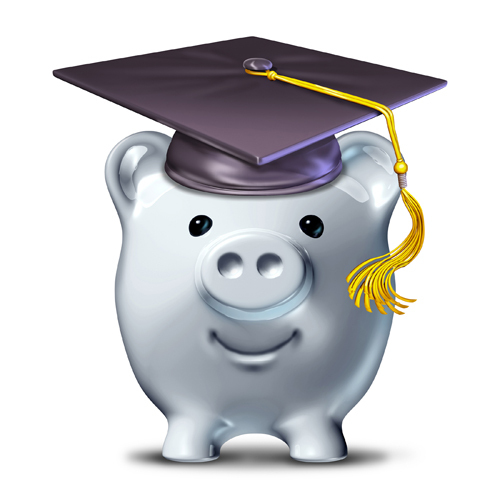 Coverdell Education Savings Accounts: Coverdell Education Savings Accounts (CESAs) operate like IRAs for education expenses. Withdrawals used to pay qualifying expenses are tax-free to the beneficiaries. However, the contribution limits pale next to those of Section 529 plans. The maximum annual contribution limit for a beneficiary is just $2,000 and hasn't been increased in years. Nevertheless, CESAs do offer some advantages. For one thing, unused assets can be rolled over tax-free for multiple beneficiaries. Furthermore, the funds in CESAs can pay for elementary and secondary schools as well as colleges. For this reason, such plans sometimes are used to supplement a Section 529 plan. 5. 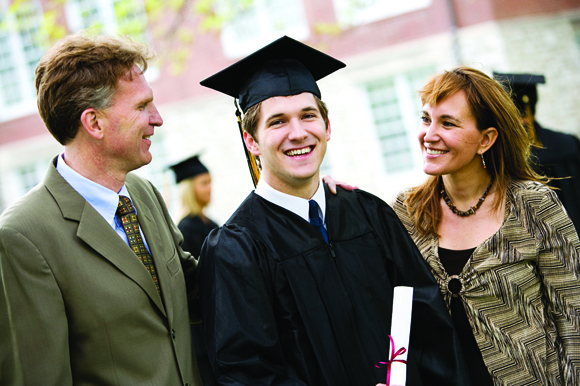 Financial aid: Finally, don't overlook the role that financial aid can play in helping pay for your child's education. Even relatively affluent families may qualify for some financial aid, so it makes sense to apply. At the very least, students should fill out the Free Application for Federal Student Aid (FAFSA) provided by the federal government. To complement the FAFSA, some schools also may require the student to submit another form, the CSS Financial Aid PROFILE. And certain colleges and state agencies may request additional forms. Colleges use the information in these documents to calculate their financial aid offers. Financial aid can come in several forms—as loans, grants, and scholarships. Generally, these benefits are tax-free to the students who receive them, although there are certain exceptions, particularly when financial aid involves work-study programs.